The GBU-16 Paveway II is an American Paveway-series laser-guided bomb, based on the Mk 83 general-purpose bomb, but with laser seeker and wings for guidance. It was introduced into service around 1976. 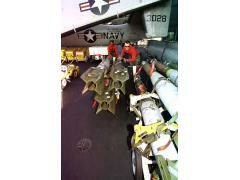 It is used by USAF, US Navy, US Marine Corps, and various NATO air forces. It uses a 1,000 pound general purpose warhead. The bomb in the GBU-16 Paveway II is a 1,000 pound Mk 83 bomb. GBU-16 bombs (along with the balance of the PAVEWAY series) are produced by defense giants Lockheed Martin and Raytheon. Raytheon began production after purchasing the product line from Texas Instruments. Lockheed Martin was awarded a contract to compete with Raytheon when there was a break in production caused by transferring manufacturing out of Texas. Raytheon production of the GBU-16 is centered in Arizona, Texas and New Mexico. Lockheed Martin production is centered in Pennsylvania. 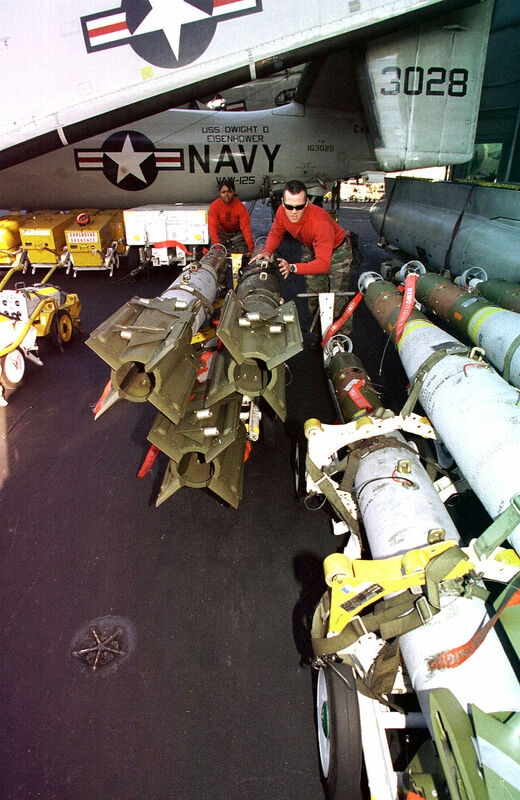 Laser Guided Bombs are often labeled as "smart bombs" despite requiring external input in the form of laser designation of the intended target. According to Raytheon's fact sheet for the PAVEWAY 2, 99 deliveries of guided munitions will yield a circular error probable(CEP) of only 3.6 feet, versus a CEP of 310 feet for 99 unguided bombs dropped under similar conditions.